KONDOR, s.r.o. is a Czech company which has throughout its whole history engaged in the sale of metallurgical products and also offered associated services. Our wide range of products and services is designed for all of you - builders, retailers, manufacturers, craftsmen and handymen. Since the very beginning, we have steadily developed by opening new branches, not only in Prague but also in other regions of our country. We are constantly expanding our range of products as well as provided services so that we can meet your varying demands. 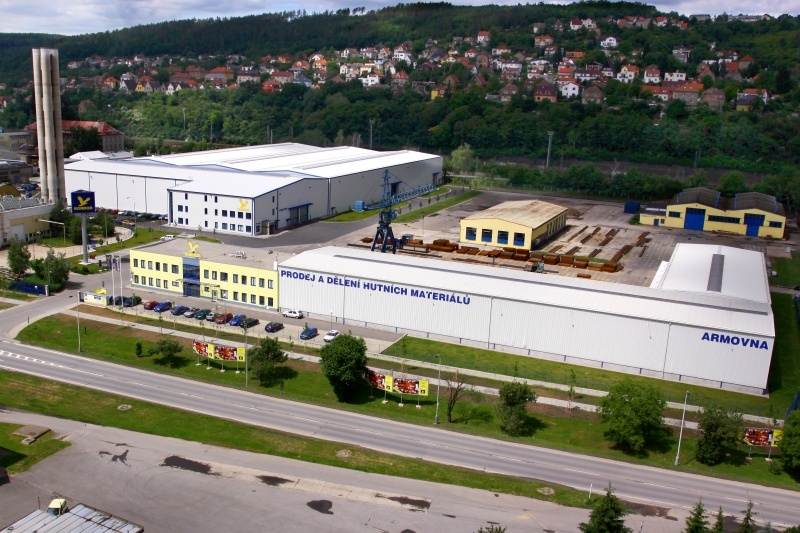 In 2009, we opened a central warehouse at the site of our headquarters in Radotín. This allows us much more flexibility, reliability and quality in responding to your needs. The central warehouse serves as a place of preparing, processing, finishing, and shipping complex orders of our customers, as well as a supply point for all of our branches. Since 2012, several KONDOR markets have been opened. KONDOR markets are a new part of our existing facilities and are in essence small supermarkets with an extended range of smaller products, aimed especially at craftsmen, hobbyists and handymen for use at home, in workshops, or in the garden but also suitable for professionals as well. Our customers include construction and manufacturing companies to whom we offer over 3 000 different metallurgical and complementary products. We provide a wide range of services including cutting of bar and rod materials, rebar bending and shaping for concrete reinforcement, CNC cutting of standard and non-standard shapes from sheet metal, transportation, galvanizing and metalworking. If you are interested in our offer and would like to request a quote or you need help with your existing order, please contact us at valenta.krystof@kondor.cz. If the material is for use outside of the Czech republic borders, we accept only contracts starting at 10 000 CZK without VAT. This is due to the increased administrative work. We don't ship abroad (you have to manage your own transport, if necesarry). If you want transport our material abroad, you have to fill a „honest declaration“, because such contract will be billed without VAT, because of European Union decree. We accept payment in CZK or EUR.